Every animal lover is aware of the huge benefits animals can have for our minds, souls, and bodies. In recent years, medical and therapeutic organizations have started to appreciate these benefits themselves, and started introducing animal-based therapies to help struggling people to reconnect with their lives. The effects have been startlingly effective. Thus far, dogs have led the way in the animal healing sphere. However, increasingly people are starting to wake up to the potentially huge therapeutic skills of one of the greatest partners and most selfless helpers humanity has ever had – the horse. 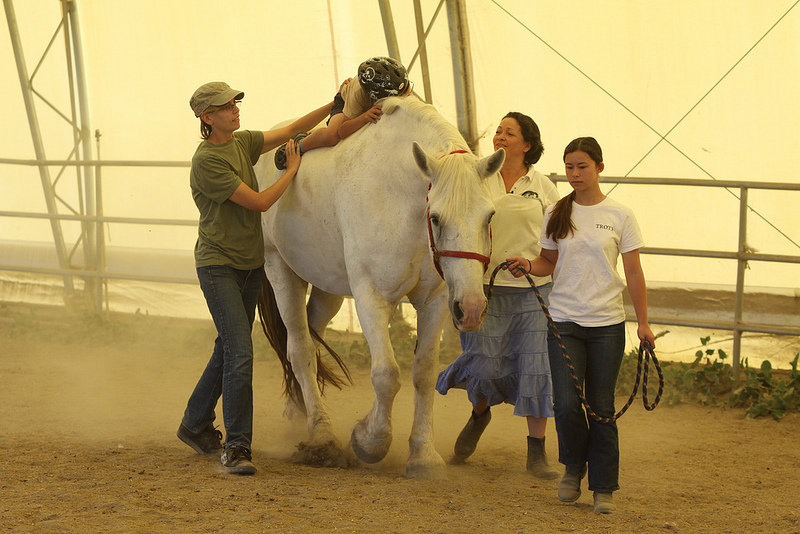 Horses are increasingly being used by organizations to aid people with physical problems in a variety of ways. Riding an effective therapy horse can help to gently build the muscles and improve the health of those who may be unable to use their legs effectively. Furthermore, having control of a good horse can provide a much needed sense of independence for those less physically able who may generally be reliant upon others in their daily lives. Slightly more unconventionally, miniature ponies are being trained to become very effective seeing-eye animals. These ponies are gentle, easily trained, and have provided a new lease of life for many blind and visually impaired people. Some people in need of seeing-eye services may have a fear of dogs, or be allergic to them. Strict Muslims may reject a seeing-eye dog for religious reasons, and some people fear that a dog can be too easily distracted by its predator instincts (stopping sharply or even racing across the street at the sight of a squirrel, for example). Seeing-eye ponies can provide an excellent alternative in these cases, giving independence and a new lease of life to the blind or visually impaired. They also have a much longer working life than dogs! However, perhaps the greatest way in which horses are being used to heal is with those who are suffering from mental or emotional problems. Every horse owner knows the joy and fulfillment which interaction with a horse can bring, the calming effect they can have, and the happy pride one feels when riding or even just watching a horse with whom you are familiar. 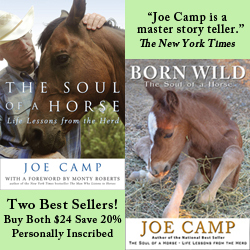 It seems only logical to apply this remarkable equine effect to those sorely in need of emotional help. Organizations working with therapy horses report that people suffering from depression, or who feel that they have lost their way in life can form a connection with a therapy horse that they may feel unable to with other humans. This sense of connection can deepen into a real sense of self-worth as they realize just what they and the horse are together capable of. To ride such a magnificent animal, to feel it understanding and co-operating with you, and understanding the horse in return can give a massive confidence boost. Those suffering from anxiety issues may find the calm demeanor and gentle eyes of a good-natured therapy horse infinitely soothing, while those who feel as though their lives are slipping out of control can be empowered by the confidence a therapy horse has in them. Some people, of course, simply find the forgiving and non-judgmental attitude of horses and ponies incredibly helpful. A charity in Wales is running a program in which drug users are encouraged to work with abandoned horses. They have found that educating the addicts about horses and giving them the opportunity to put their new learning into action has given them a hugely beneficial sense of focus. This new focus, the sense of self-worth provided by learning about the horses, and the opportunity to practice their new skills with these gentle, non-judging animals has given the patients the self-motivation they need to persevere with rehab programs. The trust the horses show the addicts inspires them to be trustworthy, and the love of the animals can prove to be just the motivation they need to make themselves worthy of that love. Many people caught up in modern urban culture feel a sense of disconnection from the wider planet around them. This can be deeply emotionally damaging. Others struggle with self-confidence issues, or lack a sense of direction. The successes of therapy horses clearly show that experiencing and learning more about animals and the natural world can have enormous benefits for people. Engaging with aspects of the world that are not human gives a new awareness of our place on the planet that can provide a vital sense of perspective to those stressed out by modern life. Many psychologists agree that simply witnessing and being around nature and natural things can have a profoundly positive effect on the psyche. Horses, being part of the natural world yet in partnership with the human world, have an essential part to play for those seeking to improve their knowledge of nature and, in so doing, improve their own well being. Clopping through the countryside on horseback, experiencing the partnership between human and animal, enjoying the fresh air, the sounds and sights of nature which are far more appreciable from a horse than from a car, can provide an enhanced perspective and a sense of connection with the world that has worked real wonders for the mental health of many. If you want to get involved with equine therapy, perhaps working to look after the horses and ponies, perhaps helping therapy patients in their interactions with the animals, or perhaps even sharing your knowledge and skills with patients who could benefit, contact PATH Intl, or NCEFT, or one of many other emerging equine therapy organizations to offer your services. Alternatively, if you feel in need of some equine therapy yourself, follow this link to find a therapy center near you. This article is so informative, I have a Granddaughter who has gotten a great benefit from the Horse Therapy. She absolutely loves seeing them, touching them, and has finally gotten brave enough to sit on their back. It has given her confidence in herself, which is the first time I have seen this in my her. She has come such a long way, and I give my thanks to the people behind this program and those like it.